Duranord and Jeanne Veillard have been married for 82 years now. 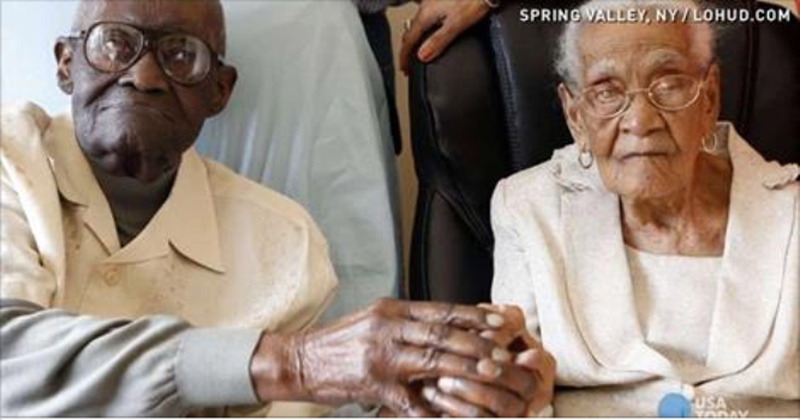 On Saturday, Duranord will celebrate his 108th birthday, while his wife will turn 105 in May. Duranord was born in 1907 to a fisherman in southern Haiti. He grew up in Port-au-Prince, where he studied law, and married Jeanne in November 1932, the same month Franklin D. Roosevelt was elected. In 1968, Duranord lost his job, and he and his wife moved to the United States after being awarded a visa to visit. He began work as a lab technician at the Good Samaritan Hospital, where he worked for ten years before retiring. Over time, each of their five children came to the United States after their parents. Now, Duranord is nearly blind and is hard of hearing, but that doesn’t stop him from loudly cracking jokes in French Creole or from sharing his birthday cake with reporters. Neither he nor Jeanne leave the house except to visit the doctor, and both need assistance to walk, but they are still enjoying life as fully as they can.